Kajaria is the only ceramic tile company of India to achieve the rare distinction of being a Superbrand for the tenth times in a row, a status shared by only sixty other corporate houses in India. 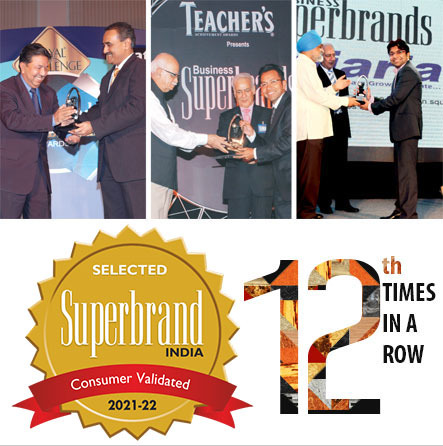 The Superbrand is considered a very prestegious award for branding in India, which the company proudly bagged for tenth consecutive years. 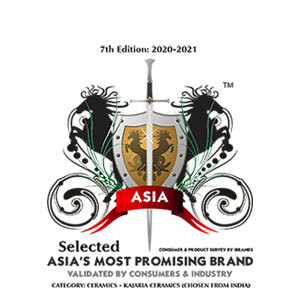 The winners have been identified to be the strongest brands in their respective categories and have been chosen from more than 700 shortlisted consumer brands. 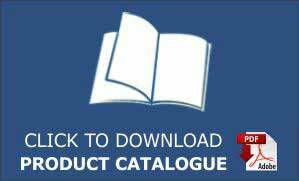 The Superbrand organization has been tracking the branding phenomenon for over 14 years now. The criteria for selection of the winning consumer brands include perceived brand image plus the brand's mindshare, goodwill, consumer loyalty, trust and emotional bonding. Kajaria's membership to the Indian Green Building Council, reassures the consumers and stakeholders that each product has been created in an eco - friendly process. 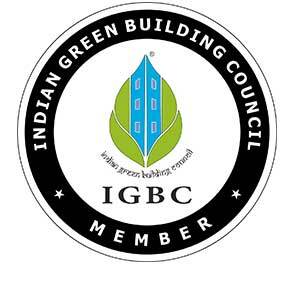 The Indian Green Building Council (IGBC) Green Homes is the first rating programme developed in India, based on accepted energy-saving and environmental principles that strike a balance between known and established practices as well as emerging concepts. Green Homes is a model for a world with sustainable 'green' buildings. This approach ensures the health & comfort for the occupants through the use of sustainable building materials. Green building is the practice of creating structures by using processes that are environmentally responsible and resource-efficient throughout a building's life cycle. Material Resources Reduces Environmental impact due to local transportation.